A new scenic site has been unveiled in Yunyang, Chongqing during hot summer days. That is Ice and Snow World, where you can enjoy cold and hot at the same time. Also, it provides real snow scene for visitors, and in there you can appreciate ice sculpture created by masters, and enjoy the adventurous 100-meter slide way. 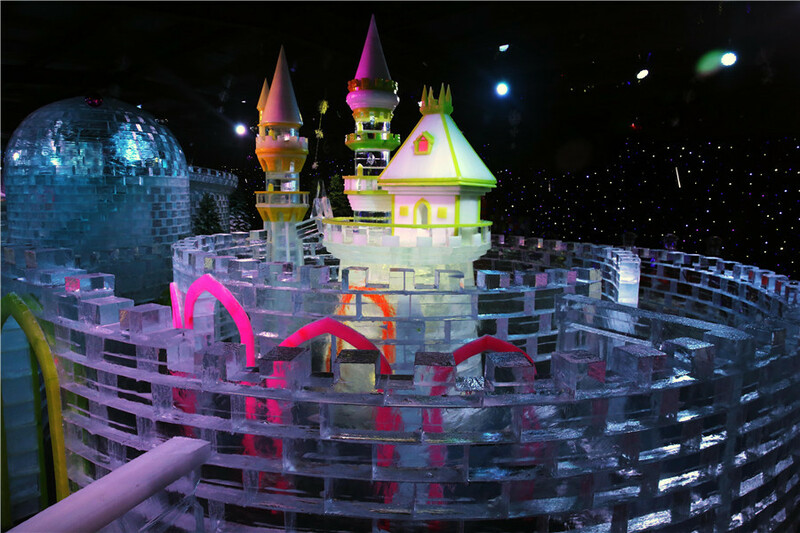 It is noted that for this Ice and Snow World, the organizer has divided it into three sections: sculpture exhibition section, experience section and the real snow section which resembles snow town in northern China. 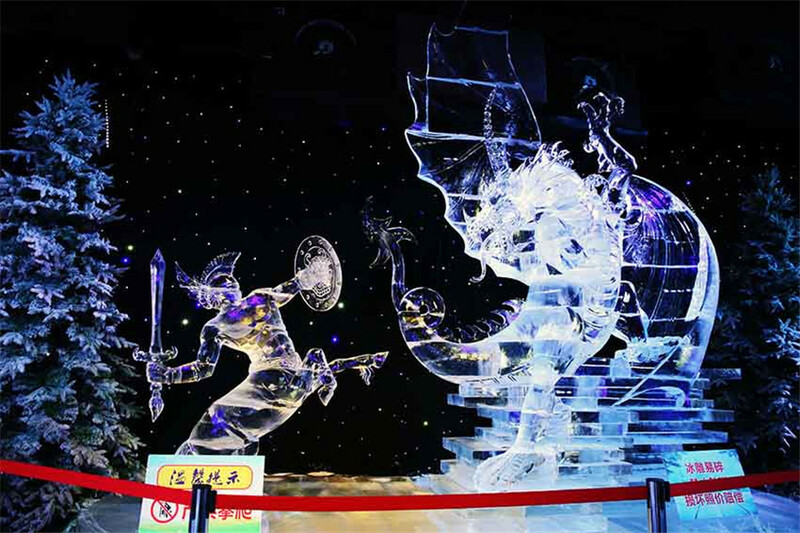 In the sculpture exhibition section, you can see some ice sculptures like Chongqing Hot Pot, Descendant of the Dragon and Maze. 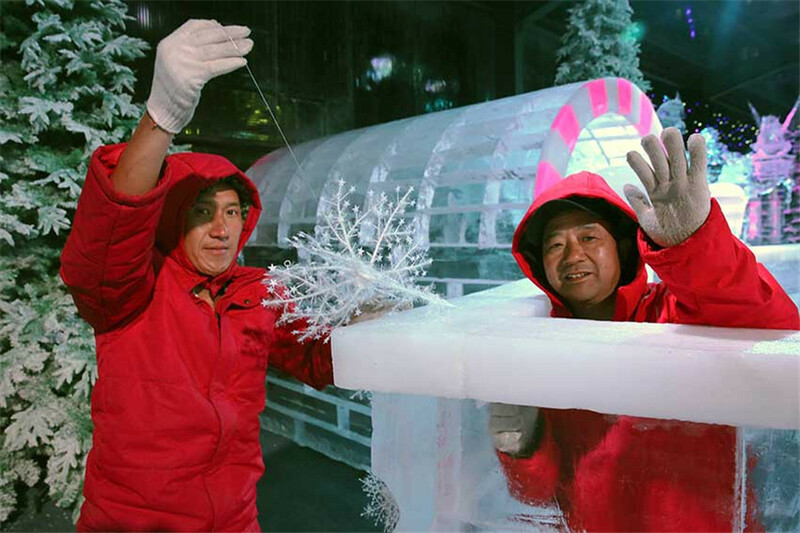 There are even some award-winning ice sculpture art exhibits made by ice sculpture masters at home and abroad. In the experience section, it provides both "figure-8” with 100 meters slide way and about 30-meter slide way for children, and sport activities such as skating and skiing in the section for visitors to experience. The last section is aimed to provide the real feeling of going into the snow scenery like those people who live in northeast China. What’s more, it also provides an opportunity for visitors to have a closer chance to feel the folk houses and folk customs of those people and feeling of the cold and hot fairy tale at the same area. According to Zhangjianhua who is in charge of this project, the Ice and Snow World is officially opened to public on 1st August. And the tickets are given to visitors free of charge by Longgang scenic site. They need only a down jacket at the reception area for 30 RMB per one, then enjoy the sceneries and join in all the activities inside the ice and snow world.